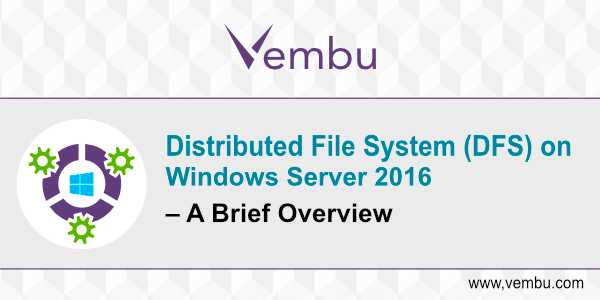 The Distributed File System allows you to set up shared folders deployed on different servers into one or more logically structured namespaces. Each and every namespace will appear to users as a single shared folder with a series of subfolders. Now we are going to see How to add DFS roles and How to configure DFS. 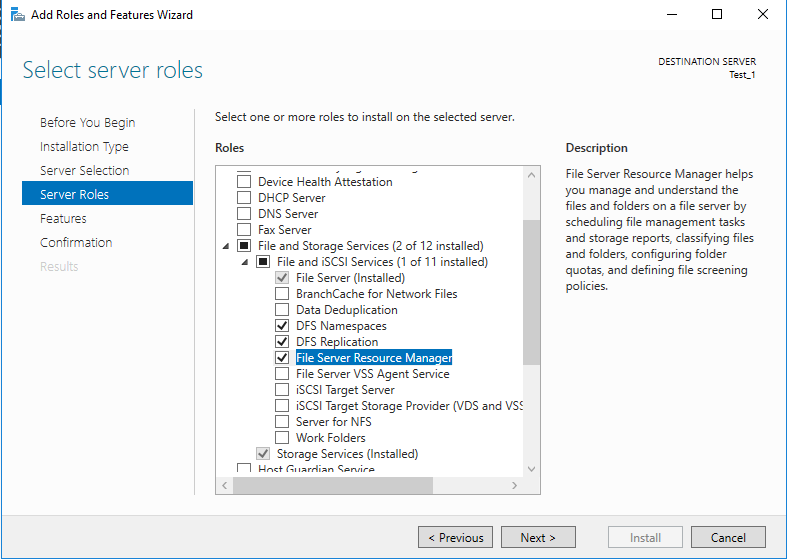 First login to your Windows Server 2016 DC machine and open server manager. Open Add Roles and Features Wizard and move on to Server roles like shown in below image. Under File and Storage Services you can find File and iSCSI Services expand it and select File Server, DFS Namespaces, DFS Replication, and File Server Resource Manager. After successful installation of DFS, open DFS Management console. From server manager click tools and open DFS Management. In left side pane you can find Namespace. Right click on it and click New Namespace. 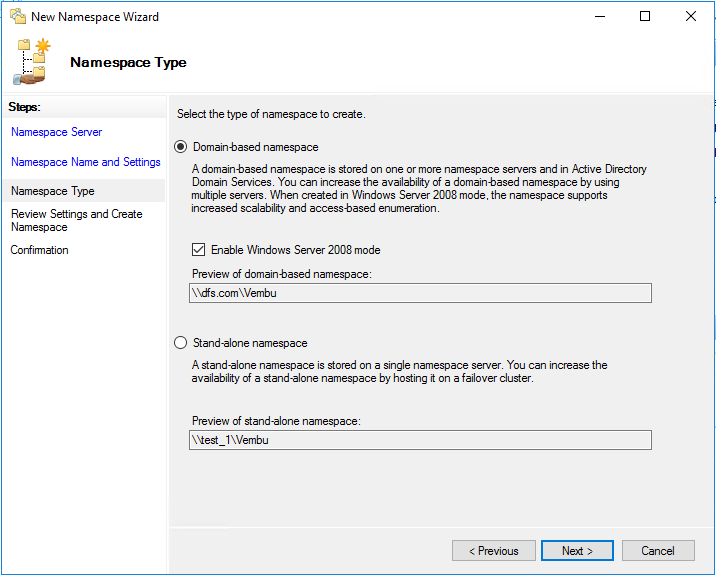 In Namespace Wizard, you must specify the namespace server and click next. Now you have to enter a name for the namespace. 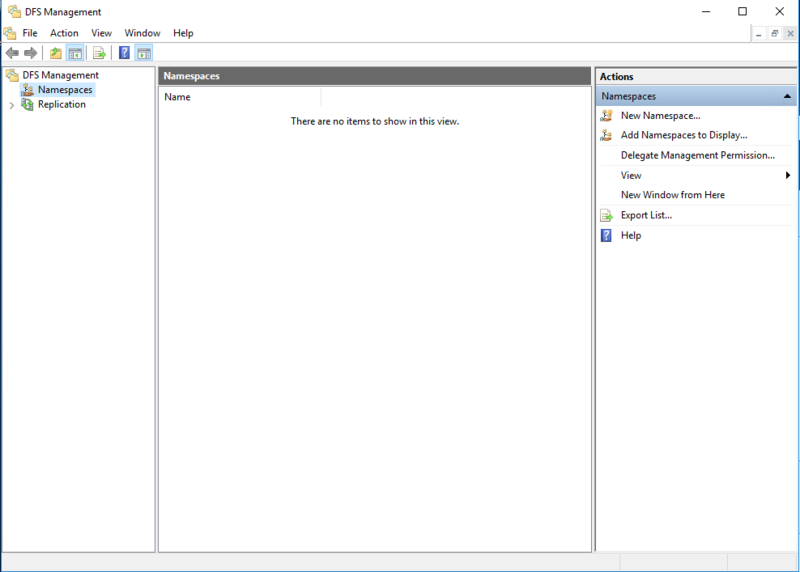 This name will appear after the server or domain name in the namespace path, such as \\Server\Name or \\Domain\Name. After giving name click edit settings and set permission as Administrators have full access other users have read and write permissions. (If you want to restrict then you can set appropriate as your need.) then click ok and give next. Now you have to select the type of namespace. Two types of namespace are there one is Domain-based namespace and second is Stand-alone namespace. A domain-based namespace is stored on one or more namespace servers and in Active Directory Domain Services. You can increase the availability of a domain-based namespace by using multiple servers. A stand-alone namespace is stored on a single namespace server. 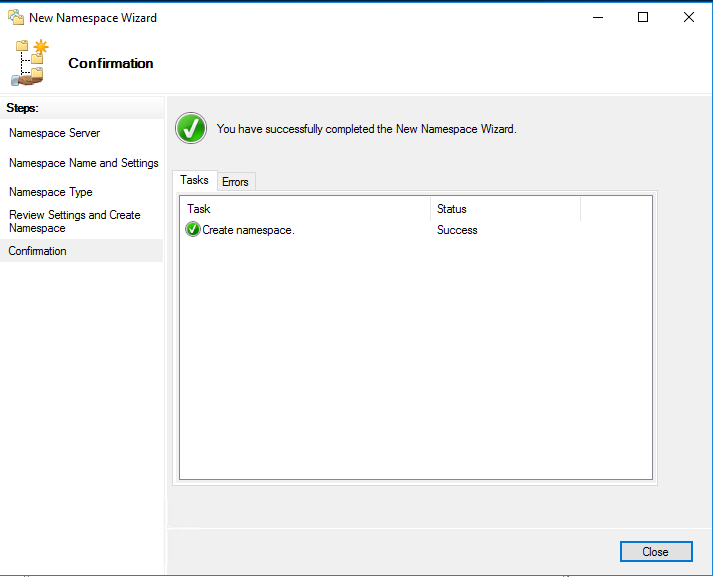 You can increase the availability of a stand-alone namespace by hosting it on a failover cluster. There will be a option Enable Windows Server 2008 mode, When created in Windows Server 2008 mode, the namespace supports increased scalability and access-based enumeration. 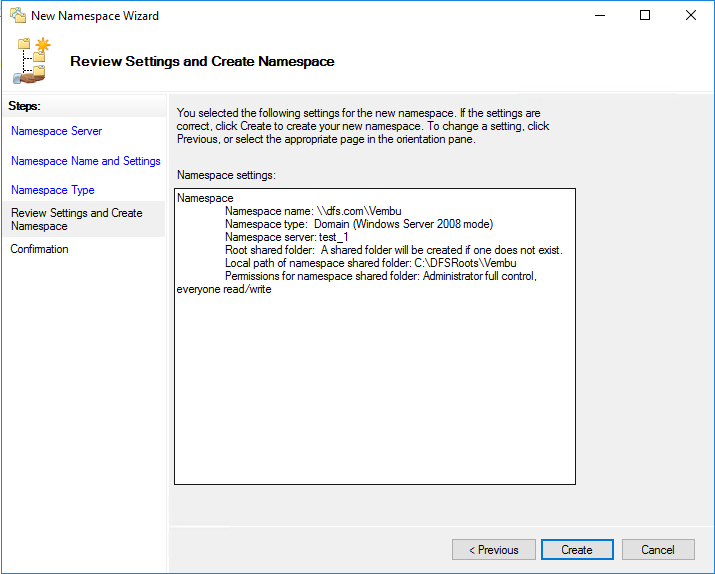 After selecting namespace, give next to Review Settings and Create Namespace. Review the settings and click create to start the process. If your configuration is correct you won’t get any error and you have complete without any errors. We have successfully created Domain-based namespace. Now we have to create a shared folder for the users. 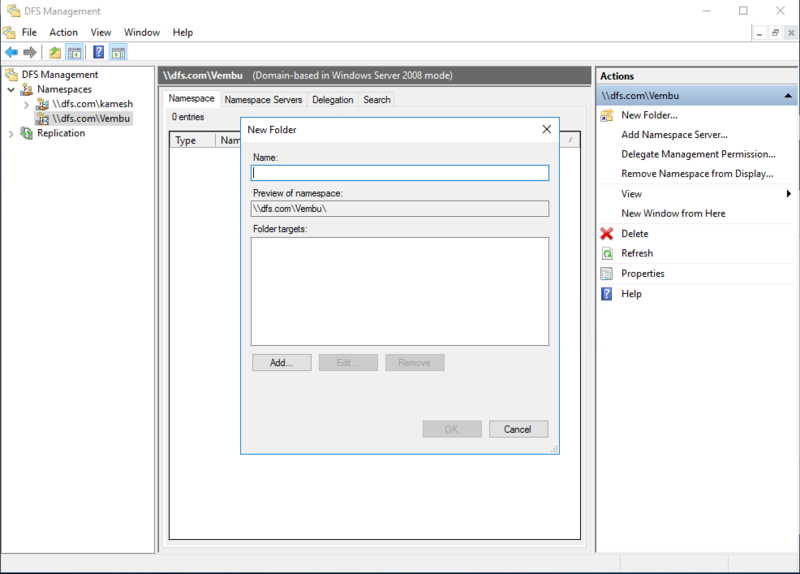 To create New folder expand the namespace in DFS management console, click on the namespace we just created. In right side pane of DFS management you can see New folder click on it, new window will open to create the shared folder. Give a name for the folder and click add and to give path for the folder. Browse and select the target. 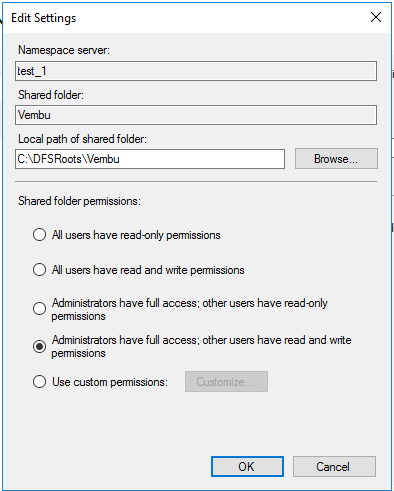 After successfully adding the shared folder you can access from all the domain users. Sharing data between domain users is very easy using DFS Namespaces. We can access from a single path and it is easier to move file servers without changing the path. I am a system and network engineer @ vembu and I love to read and share about new technology related to networking and virtualization. As my passion resides inside data centers, The best way to find me is to ping a server.